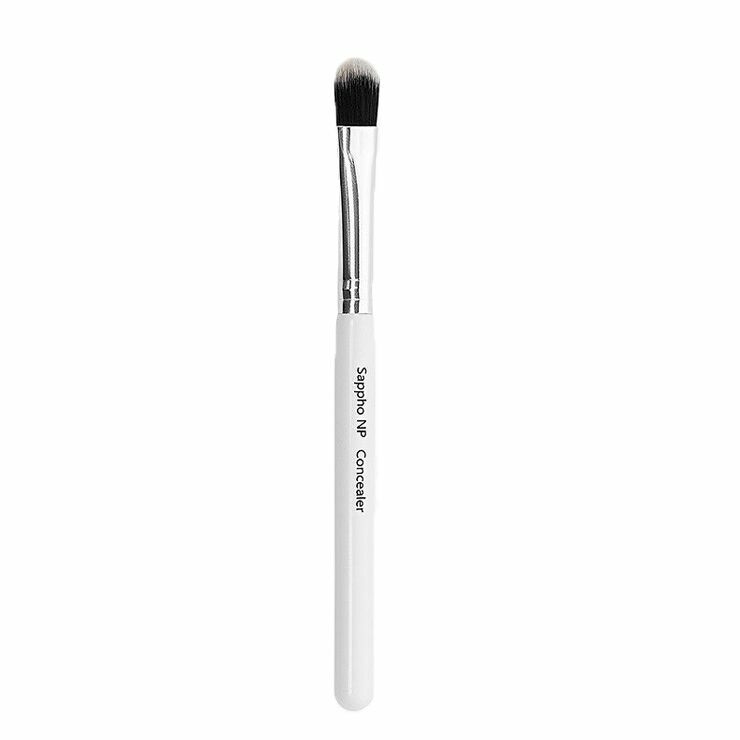 Sappho Concealer Brush allows for even, effective coverage in a gentle swipe. Tapered ends and a narrow, rounded tip provide easy, even coverage for a flawless look. Synthetic fibers and a bamboo handle are easy to clean. Super soft bristles are gentle on delicate skin and allow concealer to stay on skin where it belongs, creating a look of perfection. The compact size makes for convenient stowing in purse, gym bag, or beauty kit. This vegan concealer brush delivers just the right amount every time. Use to apply concealer to under eye area, around nose, over blemishes and discolorations, and anywhere you’d like to diminish the appearance of imperfections. Blend gently for an airbrushed look.